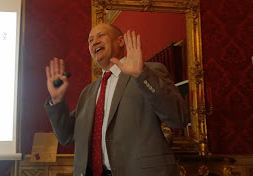 Jointly organized by Italy’s Research Council and Palermo’s University, the 6th edition of the “FineCat – Symposium on heterogeneous catalysis for fine chemicals” was held in Sicily’s Royal Palace in Palermo on April 5th. The scientific works (watch the video) were opened by Professor Gideon Grader, a Professor of chemical engineering at Haifa’s Technion where he leads the University’s energy program. In an inspirational lecture Professor Grader discussed the mechanisms discovered by his group to create the unique mesoporous core-shell architecture of nanostructured materials with multifunctional, specific properties – an highly desirable finding which facilitates new possibilities and applications in all fields of catalysis due to the combination of high surface to volume ratio and low mass transfer resistance to and from the catalytic sites. 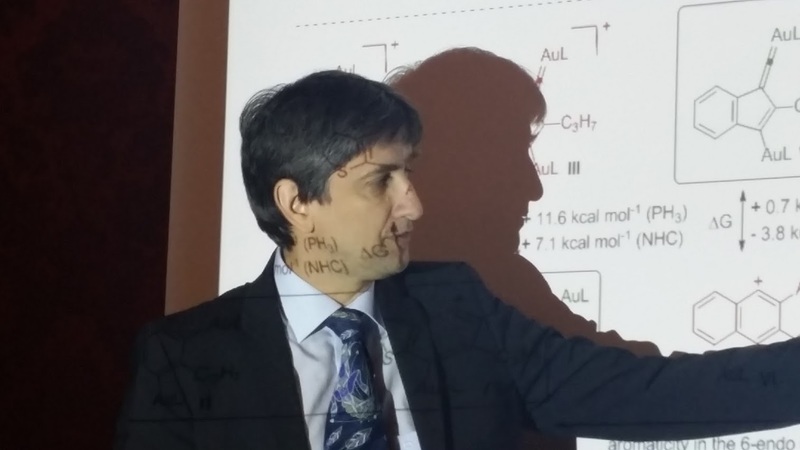 Heidelberg University’s organic chemistry Professor A. Stephen K. Hashmi, gave a fascinating lecture on new aspects of gold catalysis applied to the synthesis of a variety of functional products. Professor Hashmi described the latest findings concerning the new synthetic methods to access both gold(I) and gold(III) catalytic species, the identification of highly reactive catalysts, and the development of gold-catalyzed reactions including additions to allenes and alkenes, benzannulations, cycloisomerization, rearrangement as well as oxidation and reduction reactions. Already used for the production of bulk chemicals, gold catalysis is poised to be introduced in the production of the basic ingredients of a wide variety of valued added products ranging from pharmaceuticals through liquid crystals and organic light emitting diodes (OLED) for computer, TV and mobile phone screens. 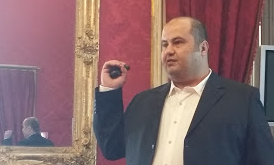 Professor Raed Abu-Reziq, of the Hebrew University of Jerusalem, Israel, presented the results of his team concerning the development of new nanostructured materials, nano- and microreactors as platforms for heterogeneous catalysis. He showed how advanced sol-gel processing nanochemistry can be used to encapsulate, for example, ionic liquids and convert them from liquid to solid state. Catalytic microreactors, he explained, have a potential to bridge between homogeneous and heterogeneous catalysis by the microencapsulation of catalyst dissolved or dispersed in non-volatile phase such as a ionic liquid. Francesco Parrino, a post-doctoral researcher in the Schiavello-Grillone research group of Palermo’s University, presented the new results obtained in photocatalytic bromine synthesis. An eco-friendly and economic process capable to replace current industrial production via oxidation of bromide ions using gaseous chlorine is highly desirable, he explained opening his presentation. Giuseppe Bagnato, a PhD student at Heriot-Watt University, United Kingdom, presented posters in the field of catalytic membrane reactor technology which he is now working to integrate in biorefinery. 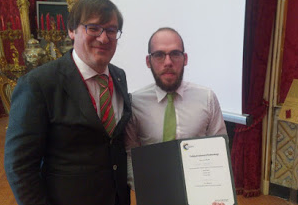 His poster entitled “Hydrogenation of Bio-Oil: A Thermodynamic Study ” was awarded the best poster presentation prize – an online subscription to Catalysis Science & Technology, the RSC flagship catalysis journal with which the organisers of FineCat have partnered since the first edition of the Symposium in 2012. Giuseppe was presented with a certificate signed by the journal’s Executive Editor, Dr Anna Simpson. A full report of the conference proceedings can be found here. The 7th edition of FineCat will be held in Sicily on 8th April 2018.